Spring Loaded Technology on Friday announced the launch of its Levitation knee brace for consumer sales across North America, and is welcoming commercial partnerships with clinics, distributors, and brace retailers across Canada. The Dartmouth company also said it received a $2.46 million loan from the Atlantic Canada Opportunities Agency's Atlantic Innovation Fund. The fund is used to finance large research projects across the region. 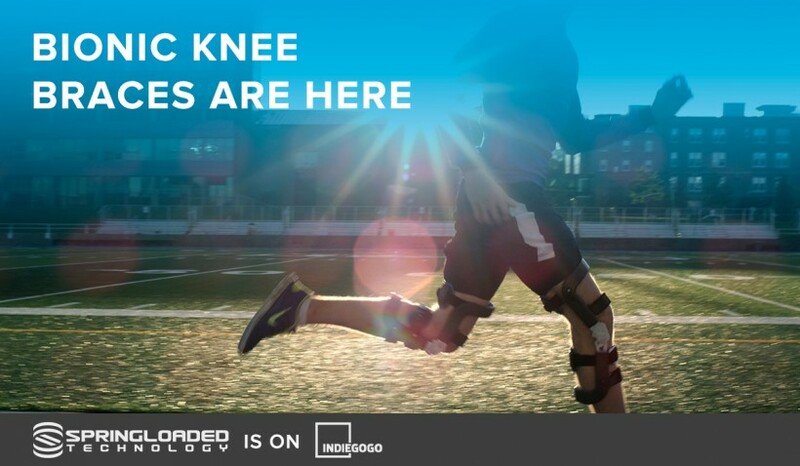 Founded at Dalhousie University’s Starting Lean program in 2012, Spring Loaded has been developing a knee brace that not only stabilizes the joint but also adds power to it. The result was the Levitation knee brace, which the company refers to as the world’s first “bionic knee brace”. "With the support of ACOA, combined with our research and development efforts and leading-edge product development, [the announcement is] a game changer,” said Spring Loaded COO Dawn Umlah in a statement. “We're proud to be able to put the world's first and only compact, bionic knee brace into the hands of consumers on a large scale." The Chronicle-Herald reported that the company will spend almost $3.8 million to develop new products, boost its manufacturing capabilities and set up a human performance lab in Dartmouth to test its products. Spring Loaded Technology CEO Chris Cowper-Smith described the announcement as "the next chapter in our journey to change and improve lives in a big way." Levitation enhances knee strength, mobility, and endurance by storing energy as the leg bends and then returning that energy as the leg straightens. Current users range from performance athletes, to manual laborers, to people with osteoarthritis. Levitation has proven useful for most knee injuries and conditions. The company last year raised $1.9 million in venture capital funding from Build Ventures, and has also received investment from Innovacorp and members of the First Angel Network. Last year, the company secured US$208,000 through an Indiegogo crowdfunding campaign and delivered a $1 million contract for the Canadian forces. It fulfilled hundreds of consumer pre-orders, and is entering what it calls real-time production. “With bolstered manufacturing capacity, product improvements, and increased demand, Spring Loaded Technology is positioned to deliver Levitation across North America, to help people do more of what they love,” said the company.